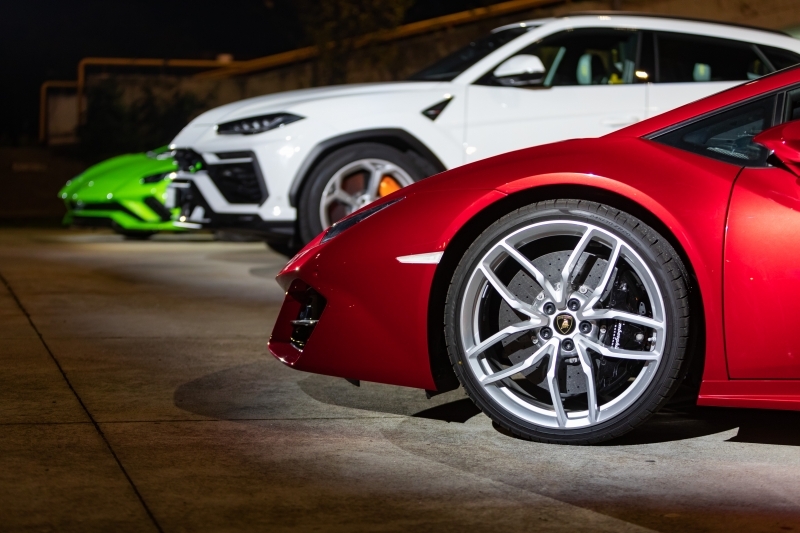 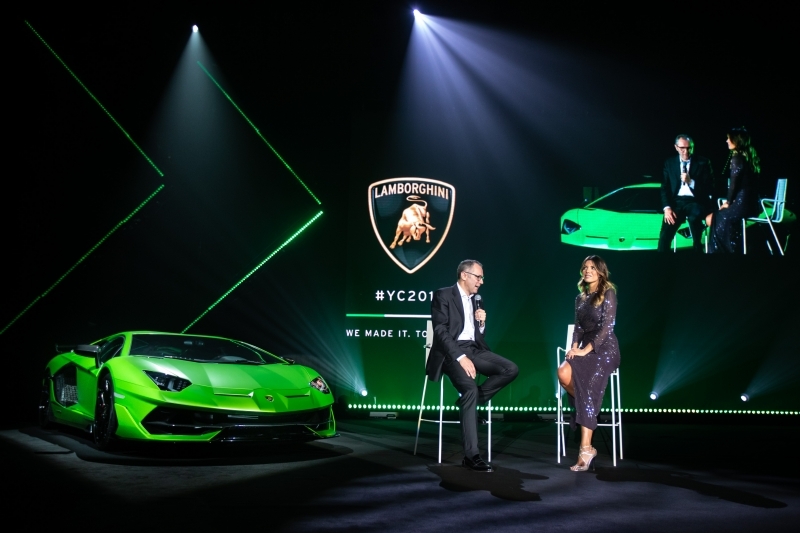 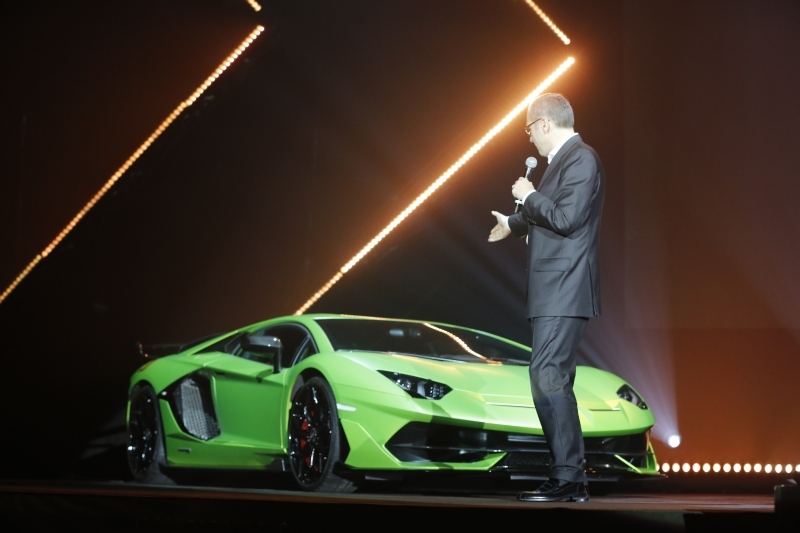 Automobili Lamborghini celebrated the closing of 2018 with a large company convention, organized, created and produced entirely by Free Event, which was awarded the project following a competition in which some of the major Italian event agencies were involved. 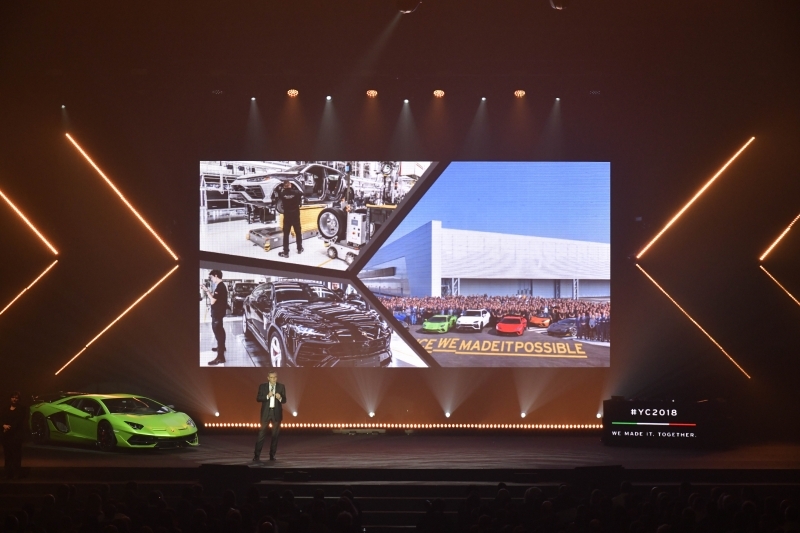 The corporate event was held at the PalaPanini in Modena, in front of about 3,000 people, including employees, managers, institutions, families and special guests. 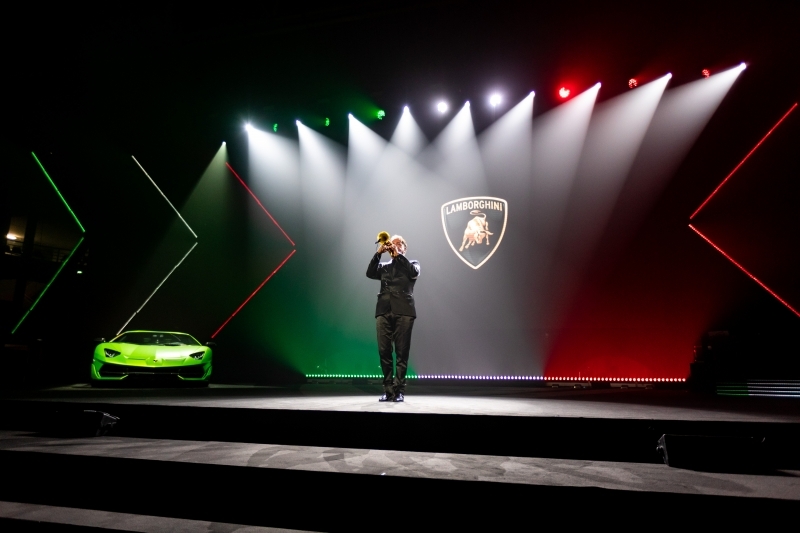 The event began at 9.00 pm with the musician Stefano Serafini who performed the trumpet in an exciting “Inno di Mameli”. 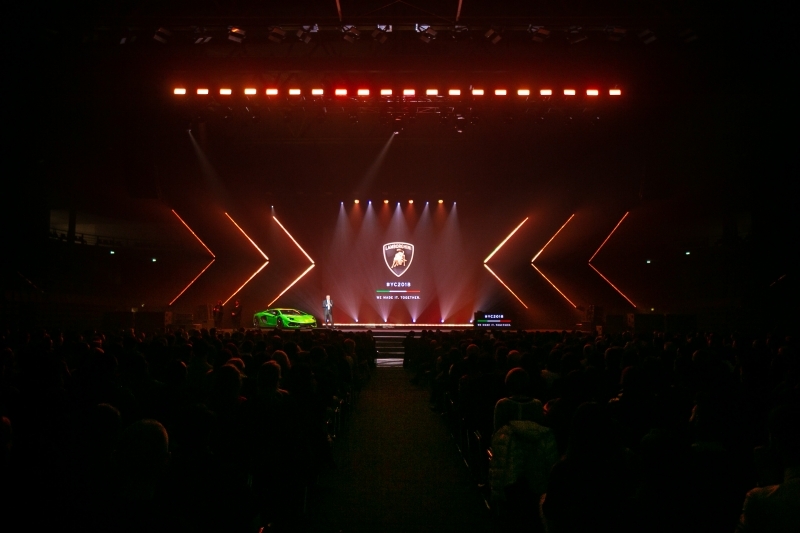 The entire building stood up, to celebrate this great moment with pride. 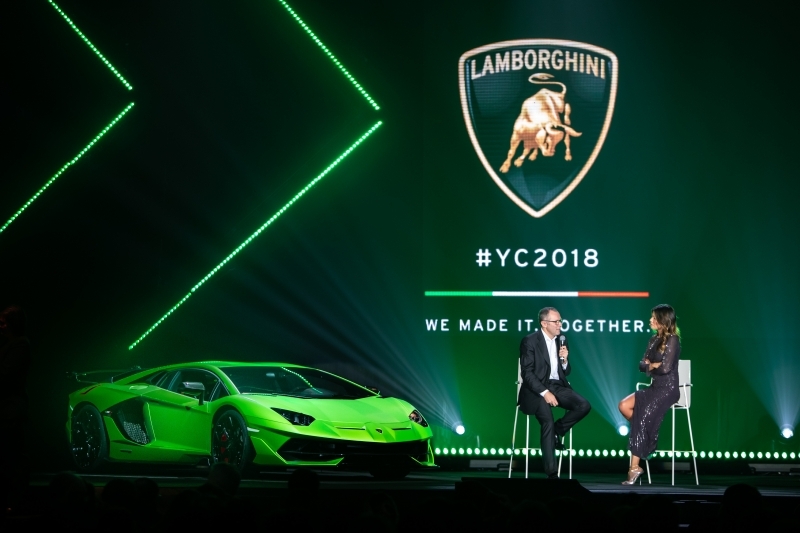 The meeting was opened by Federica Masolin, SKY journalist and female face of Formula 1, who greeted the enthusiastic audience and then spoke to the Chairman & Chief Executive Officer of Automobili Lamborghini Stefano Domenicali. 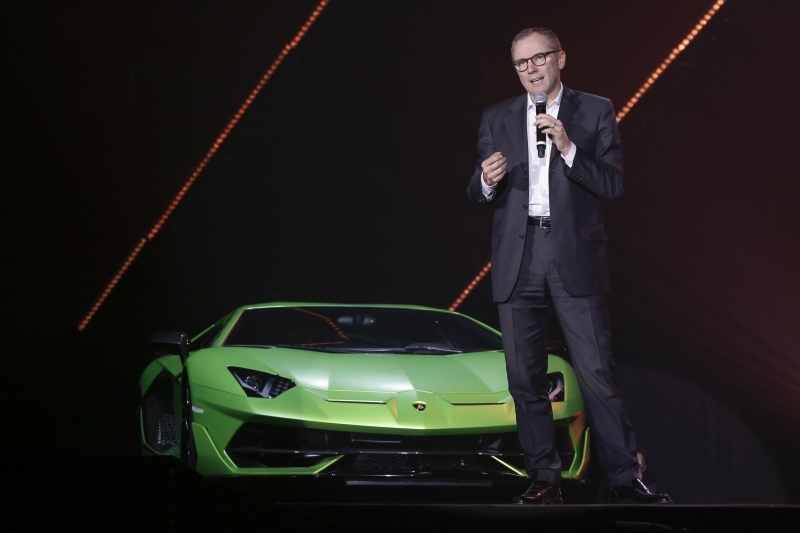 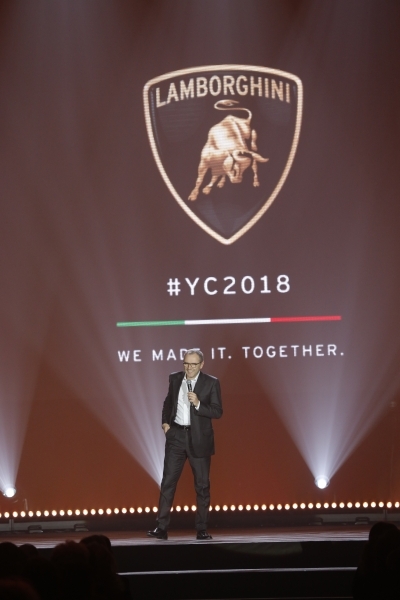 Supported by a large ledwall and an atmosphere dedicated to Made in Italy, Domenicali recalled all the achievements and goals achieved during the year, highlighting in particular the presentations and launches of Huracán Performante Spyder, Urus and Aventador SVJ, the victories of Squadra Corse and all the awards won in 2018. 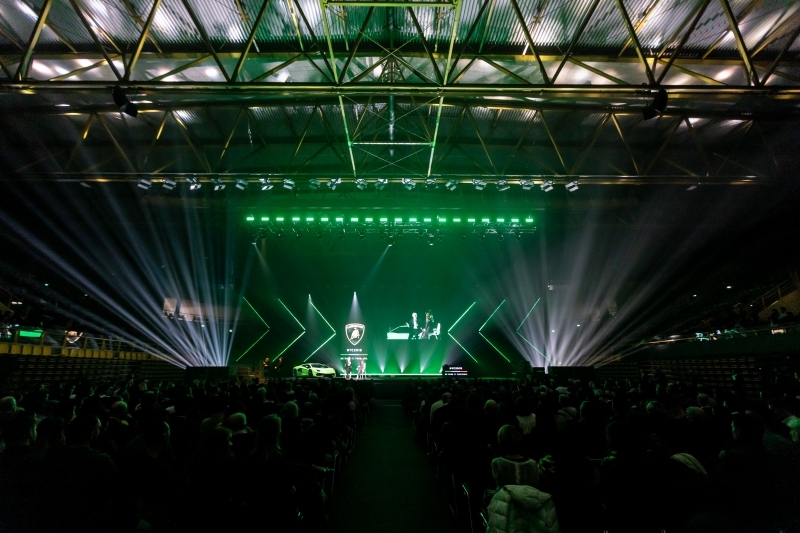 An exciting story, enhanced by a scenic and visual system of great impact, rich in video content and special effects. 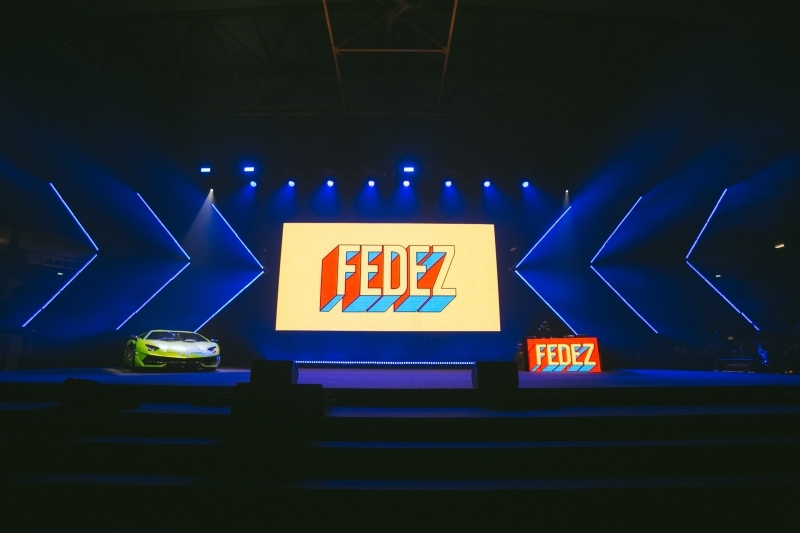 After the ritual awards, it was time for the surprise show of Fedez, the super musical guest who entertained the guests with a concert of about an hour, interacting with the public and management and sending the many fans present into raptures. 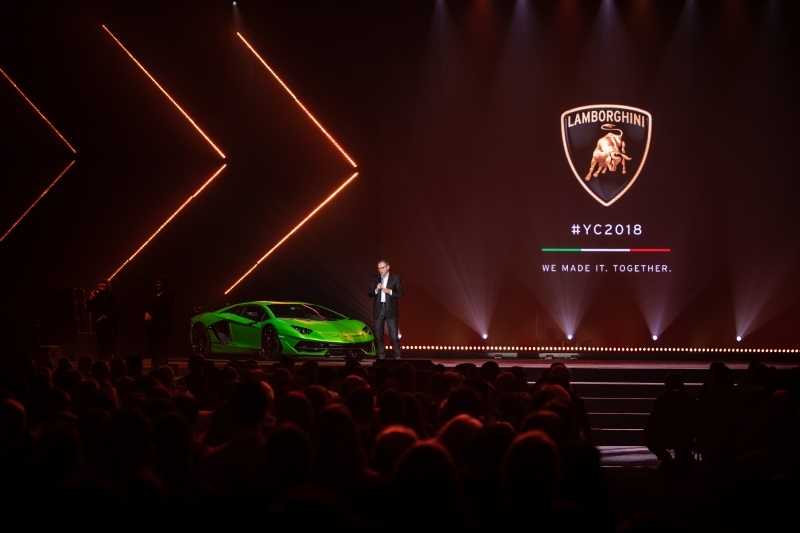 Scenography and graphic mood: the graphic and copy mood agreed with Lamborghini during the competition phase has been declined on all the scenic aspects related to the building and in all the pre and post event communication. 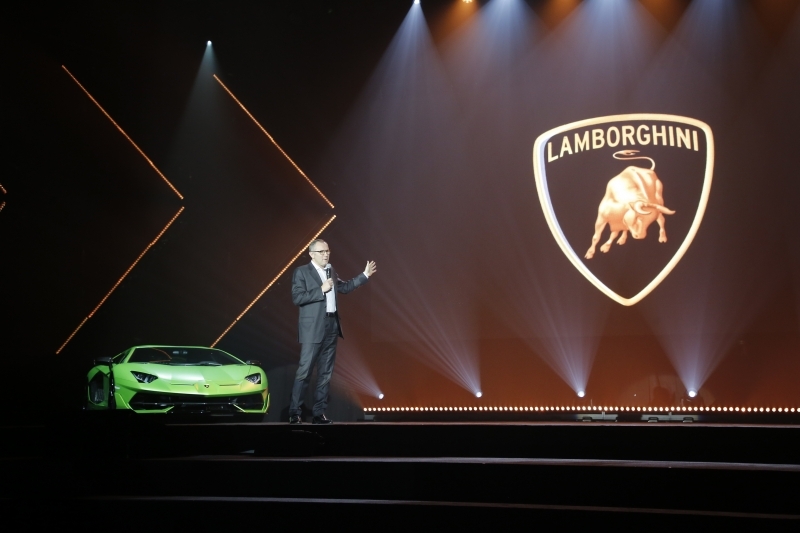 Content Management: Free Event supported Lamborghini in the writing of the script and in the definition of video contributions and supporting graphics, for the first part of the party, during which the CEO Stefano Domenicali reviewed the past year and the many achievements achieved. 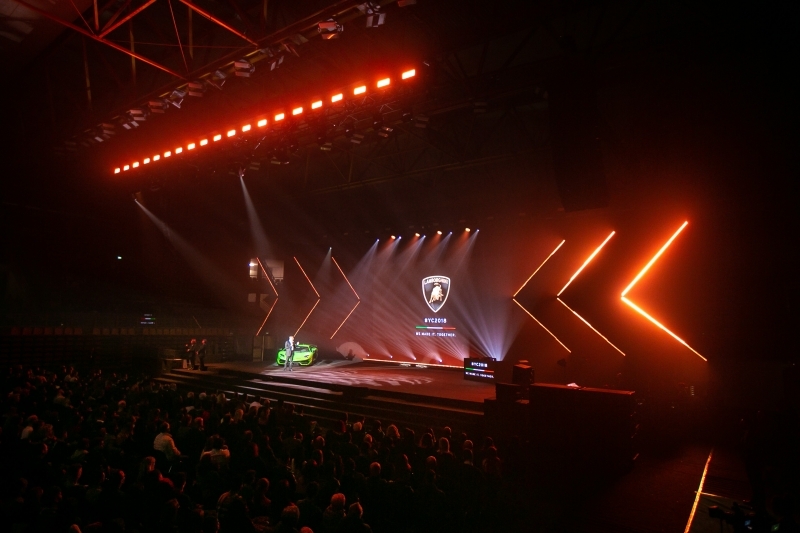 The entire computer graphics linked to the contents is also edited by Free Event. 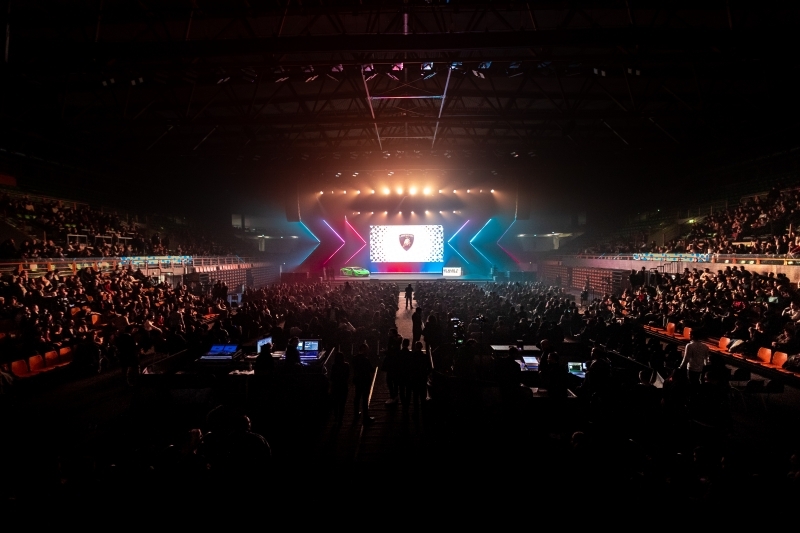 Artist Management: thanks to a decade of experience in organizing tours and musical events and creating shows, Free Event has been able to manage and support the artists involved in the show in full autonomy. 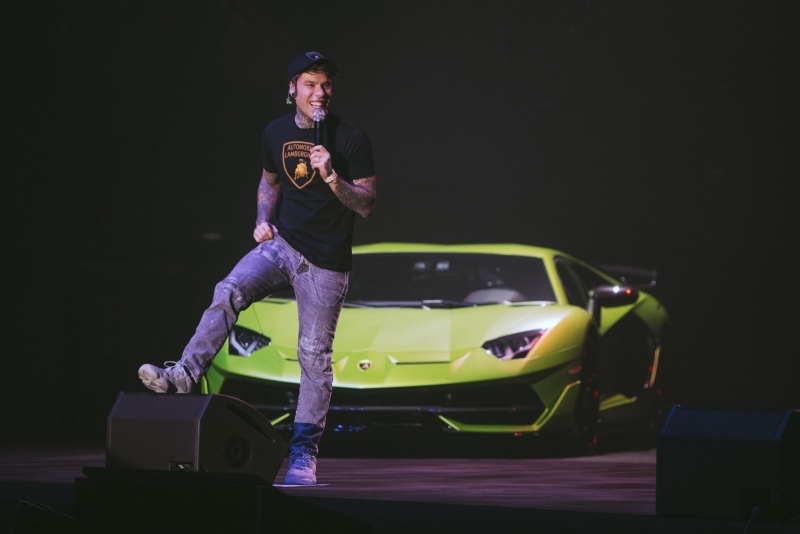 With this project Free Event consolidates the relationship with Automobili Lamborghini and is confirmed among the leading agencies in Italy in organizing events.